I am in love with that word mark! I really really like it, nice work! The gray pants are awesome. So this thread is probably going to turn into my random NFL concept thread. 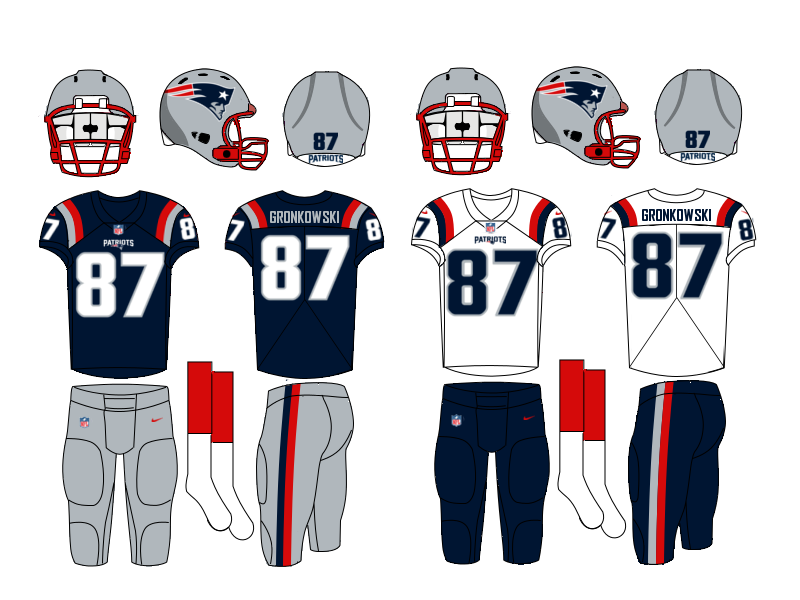 I am one of those weirdos who likes the patriots in navy blue and silver and I like the red facemask. 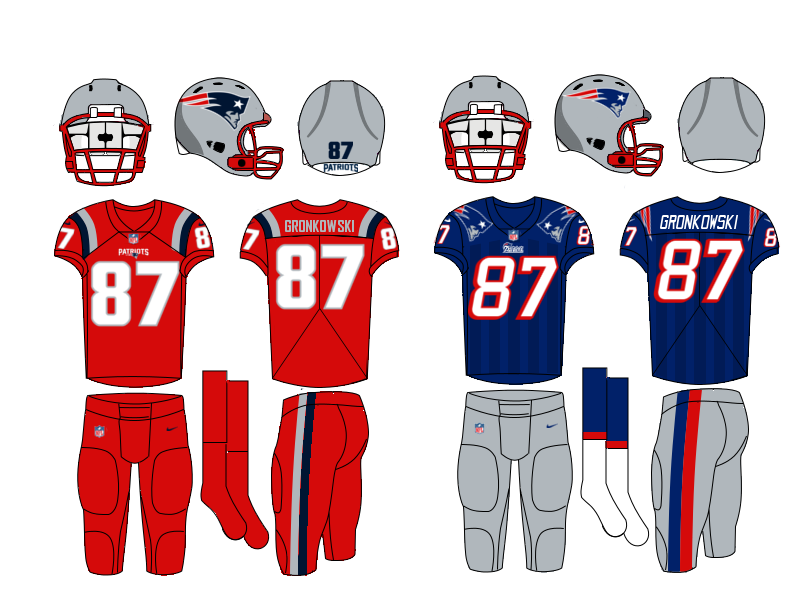 I wanted to keep the general look of the Patriots the same as the current uniforms but get rid of the most dated aspects of them. The first thing I did was get rid of the silly side piping. 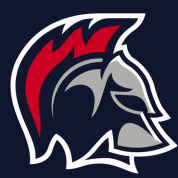 I also enlarged the helmet logo because I think the shape lends itself well to being big and covering most of the side of the helmet. The shoulder stripes are a more contemporary version of ucla stripes and are meant to call back to the "Pat Patriot" era without being a straight-up throwback. The pant stripes match the shoulder stripes and red socks help balance out the red facemask. 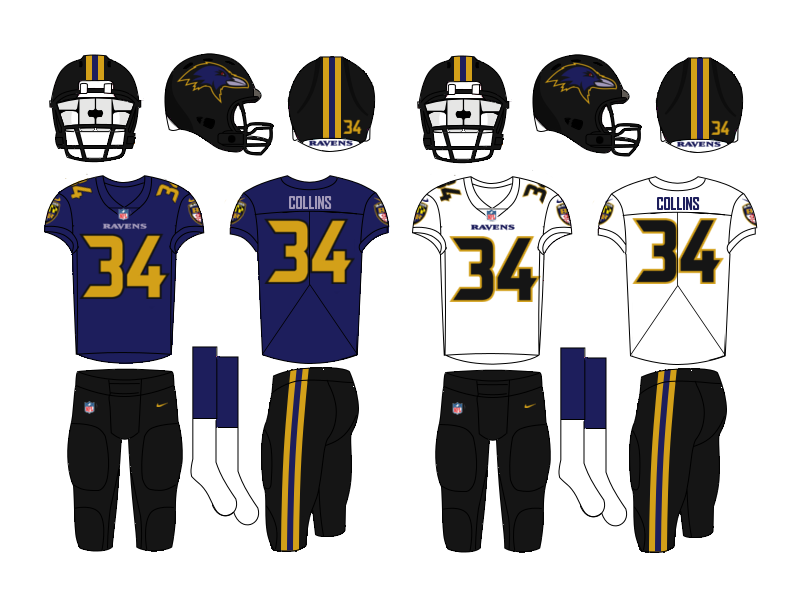 The alternate uniform is a throwback to one of the more unique uniforms in NFL history. 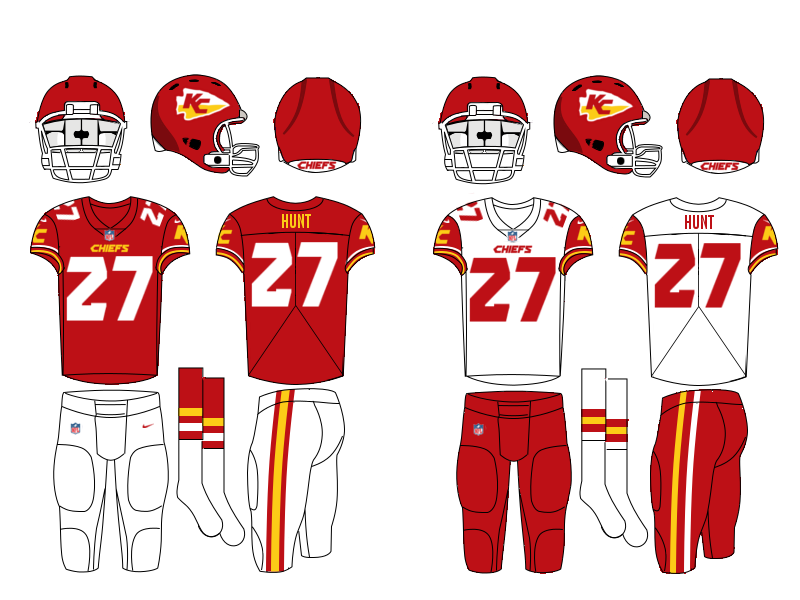 Ideally, there wouldn't have to be a color rush uniform, but all red was the most color rushy option. I'm not crazy about it, considering the whole "enemy wore red" thing but all-blue felt kinda boring. Anyway, that's my Patriots concept. As always, feel free to offer and and all feedback and C&C. Thanks for taking a look. 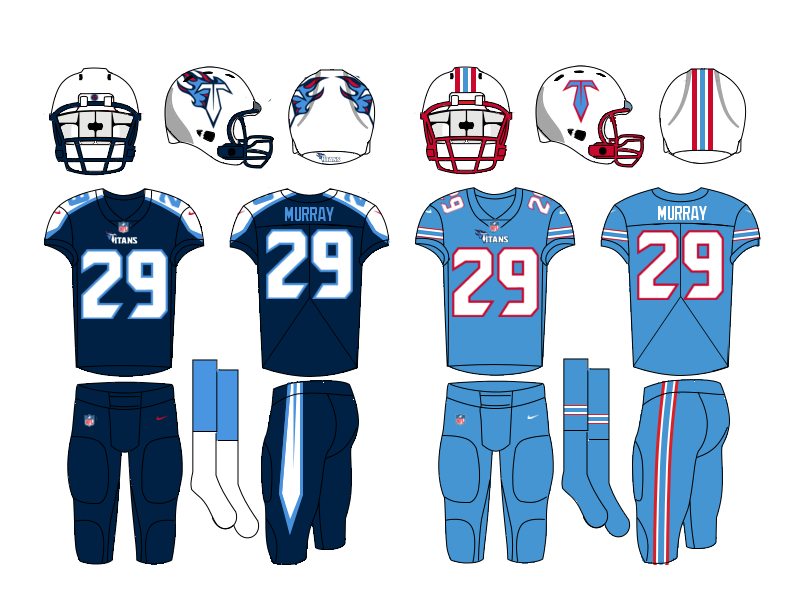 Since the Titans are going to debut new uniforms for the upcoming season, I thought I'd throw my hat into the Titans concept ring, which actually started in this thread. The first thing I did was redesign the logo. 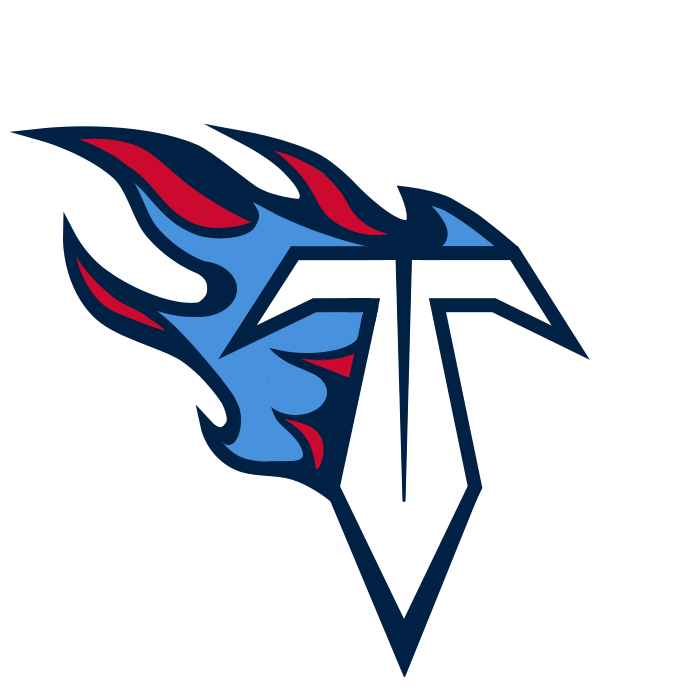 I actually like the idea of flames for the Titans. 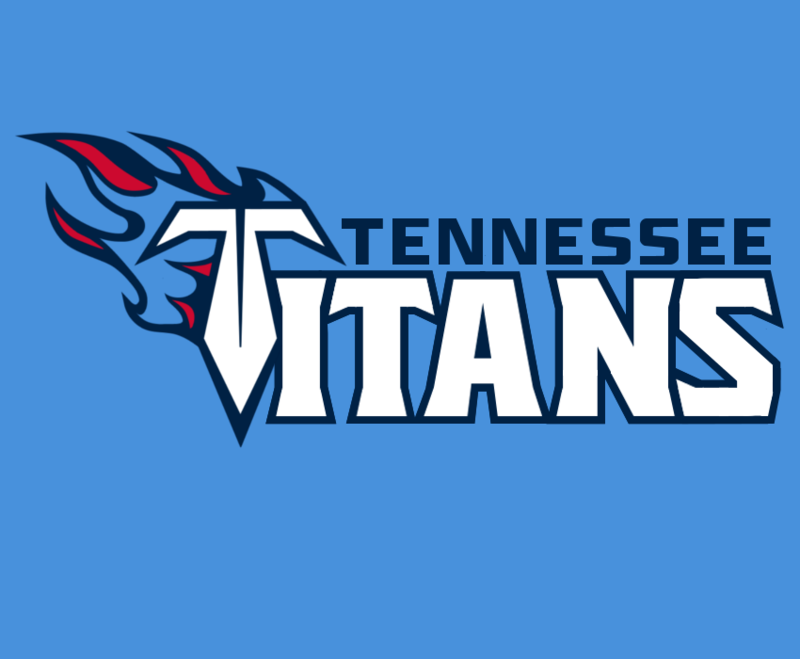 Flames and Titans are synonymous IMO, both are big and powerful, destroy and create, come from the earth, according to Greek mythology, and I think big, angry, powerful, and more than capable of creating and destroying anything in its path are a pretty good description for a football team. So, anyway, I kept the flames. I got rid of the shield/roundel and made a new T shaped like a sword a bigger focal point of the logo. I also designed a new wordmark based on the new logo, with sharp edges and lines and heavy, sturdy lettering. Now for the new uniforms, I messed around with different helmet colors including silver and red and I really wanted to go with a powder blue helmet, but I just couldn't make it work, so I went ahead and continued the Oilers/Titans tradition of wearing white lids. I redesigned the shoulder yokes by bringing them to a point reminiscent of the flaming T sword. The new number font is a modified block font inspired by the new wordmark. Powder blue is the primary home jersey, but I could be convinced to go with navy as the home jersey. The three pants options are meant to be worn interchangeably, with monochrome worn sparingly, and powder blue socks being introduced to avoid the yoga pants look. I had a little fun with the Color Rush uniform, going with a Oilers fauxback, with a color-swapped logo and contemporary number font paired with old-school Oilers striping. Well, thanks for taking a look and I'd definitely be glad to hear any and all feedback and C&C. Thanks again. 1) I'd either outline the TV numbers on the road, or change them to white. 2) I'd flip the pants stripe to start at the waist with the point down. If it's meant to be a blade, no one wears a sword like that. 3) On the Color Rush, I'd drop the flames on the T. With the T, the flames, and the stripe, I feel it's just too much. Just a couple updates, fixed the pants stripe and made the tweak to the Color Rush uniform. I'm not crazy about the Color Rush uni as a whole so I'm definitely open to suggestions for that. Thanks for having a look. New logo, new wordmark and a new contemporary number font. The big idea here was to keep white and yellow from touching everywhere on the uniforms. 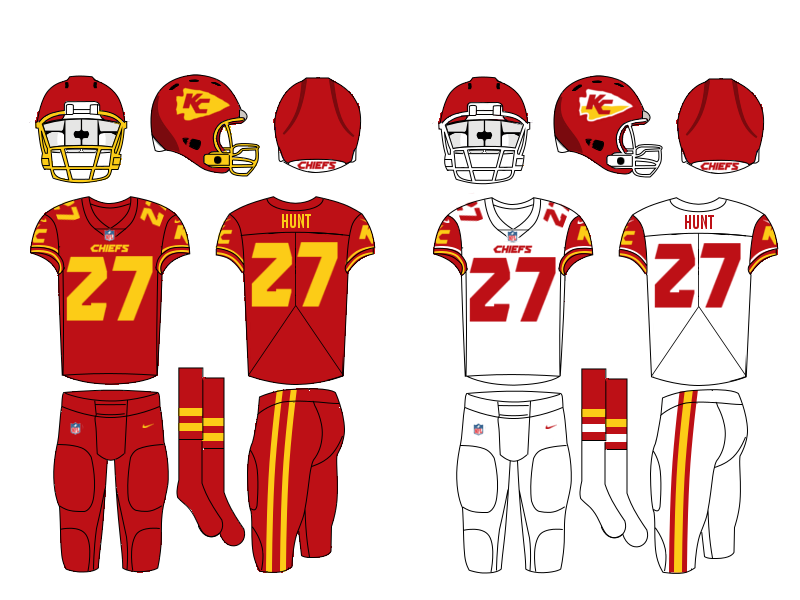 the sleeves have old school Chiefs cuff striping and pants feature simple traditional stripes.The new number font is the contemporary touch on the new uniforms. The color rush and alternate uniform are pretty self explanatory. I'm not 100% sold on the logo, but I can't come p with a better way to include yellow without adding extra outlines to the logo. As always, thanks for taking a look and I am definitely open to any and all C&C. Thanks again. I LOVE the Color Rush design! It reminds me of a more refined USC uniform. The numbers are a very nice update as well. You mentioned not knowing how to incorporate yellow into the logo, but do you have to? I'm curious to see what a solid white logo would look like on the helmets. I agree, it would be a bit better look imo with a yellow outline on the logo compared to the fill in yellow you have there now. Overall though not a bad change at all, just not a big fan of the shoulder caps on the away uni. One minor issue is that the numbers feel too wide. Other than that, I love this update. Here's a new Ravens concept. I started with a new logo that does not feature a weird superfluous B on the Raven's head. 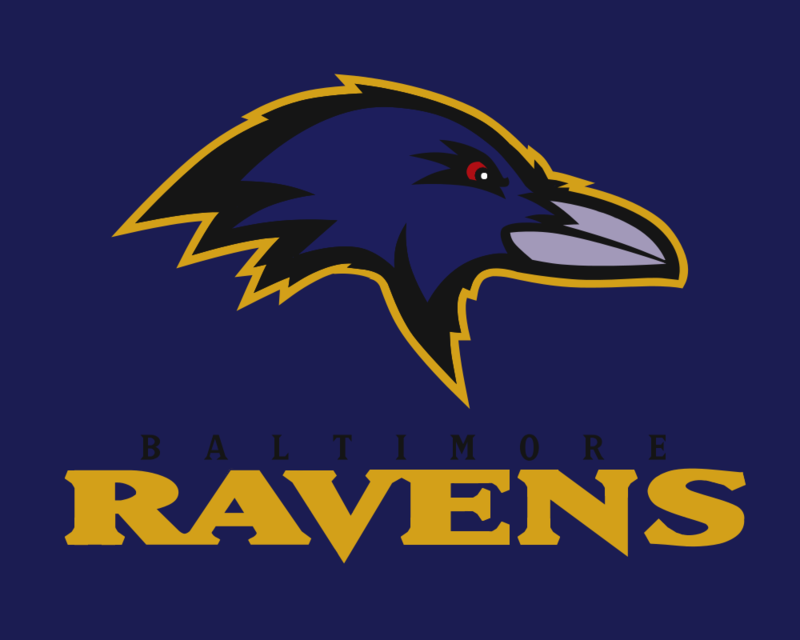 I darkened the purple, added silver, made the gold a little more mustardy, and pretty much eliminated white from the Ravens' identity. 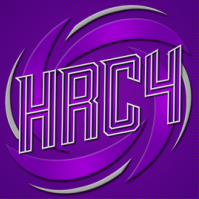 I also tweaked the wordmark just a bit to clean it up. The new uniforms feature a new number font that is, IMO, a little less cartoony and can still tie into the wordmark and overall identity. Like i said before, I all but eliminated white, except for the white jersey. Black pants with a traditional brashier stripe to match the helmet are the primary home and road pants, paired with purple socks. 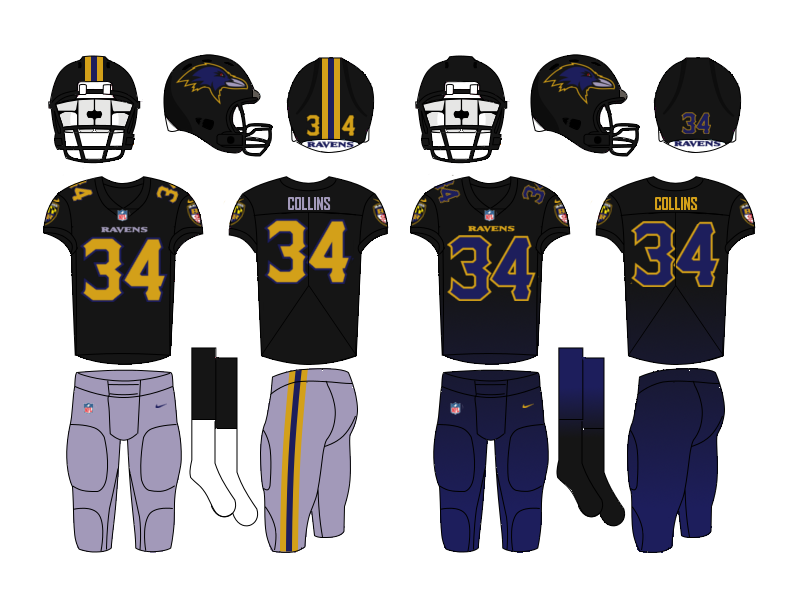 The black alternate jersey would be worn with silver pants and black socks. The Color Rush is a little bit out there, because why not? Color Rush is dumb anyway so thought I might as well go a little crazy. The gradient pattern was inspired by the iridescent property of a raven's feathers which appear to shift from black to purple in different lighting. Ravens are actually pretty solid. I can dig the Color rush, but the purple wordmarks are veeerrrry hard to see. Maybe make those gold, and make the numbers purple with a thick gold trim? Thanks. That's not a bad idea. I was worried purple numbers wouldn't be very legible, but I'll give it a try. Here's an updated Color Rush uniform based on your suggestions and I think its much improved. Thanks for the feedback. Very nice. 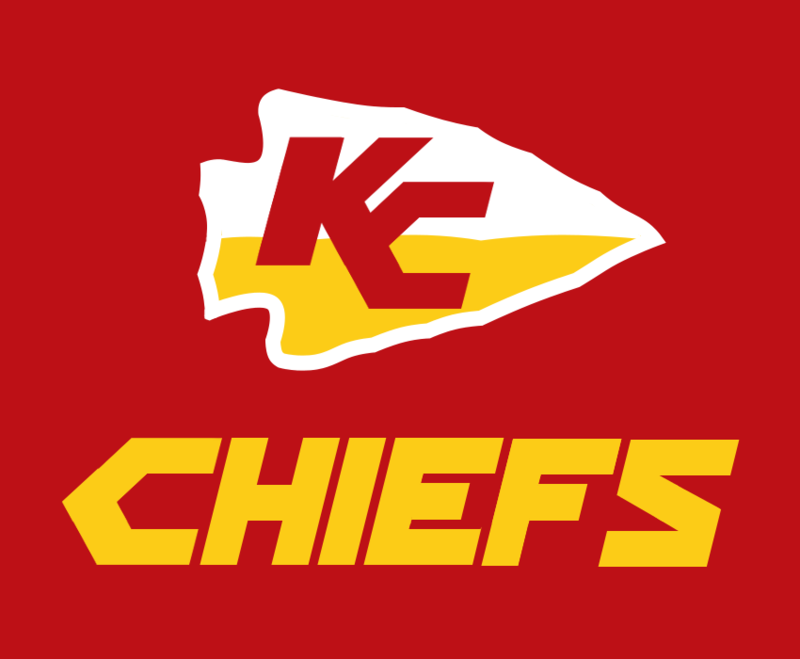 Love the Chiefs. Very much looking forward to my Rams. Here's an update to the Ravens. The more I looked at my concept, the less I liked it, especially the number font, so I changed the number font to a gothic inspired font and tweaked the wordmark accordingly. I always appreciate feedback and thanks for taking a look. I was inspired to start this concept by the Redskins throwback uniforms. I absolutely love the brassy, old gold used on the numbers and the stripeless helmet. As I got more and more into the concept, I decided the logo needed some updating. I cleaned up and simplified some of the lines, much in the same way as the Vikings updated their logo a few years ago. The uniforms are pretty straight forward, I focused the design on the classic redskins double stripe, enlarged the logo a bit and removed the big stripes from the helmet. the number font is based on the font used on the recent throwbacks. 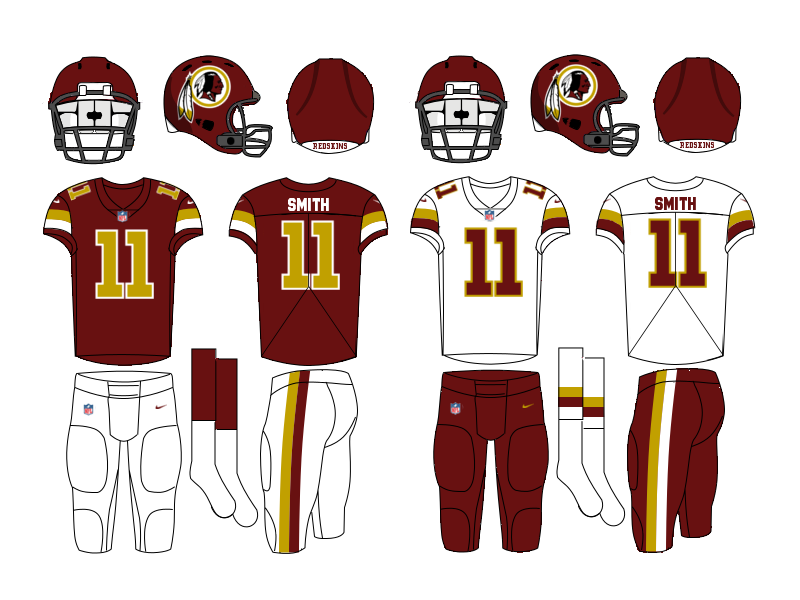 I've never been a huge fan of the Redskins in yellow/gold pants so I white and burgundy are the primary pant options for the new set. the tan canvas colored alternate pants are meant to be worn a couple times per year and give the uniform a real throwback vibe and set the uniform apart from others in the league. The new Color Rush uniform is a fauxback to the helmet-spear era in team history. Thanks for having a look an I'd love to know what everyone thinks. Honestly, I appreciate that you kept the Redskins moniker. I am of the mind that it should be changed, but until it does, I like seeing what people do with it. I wouldn't mind seeing the facemasks the same gold as the numbers. I love the USC-style numbers for the Skins! 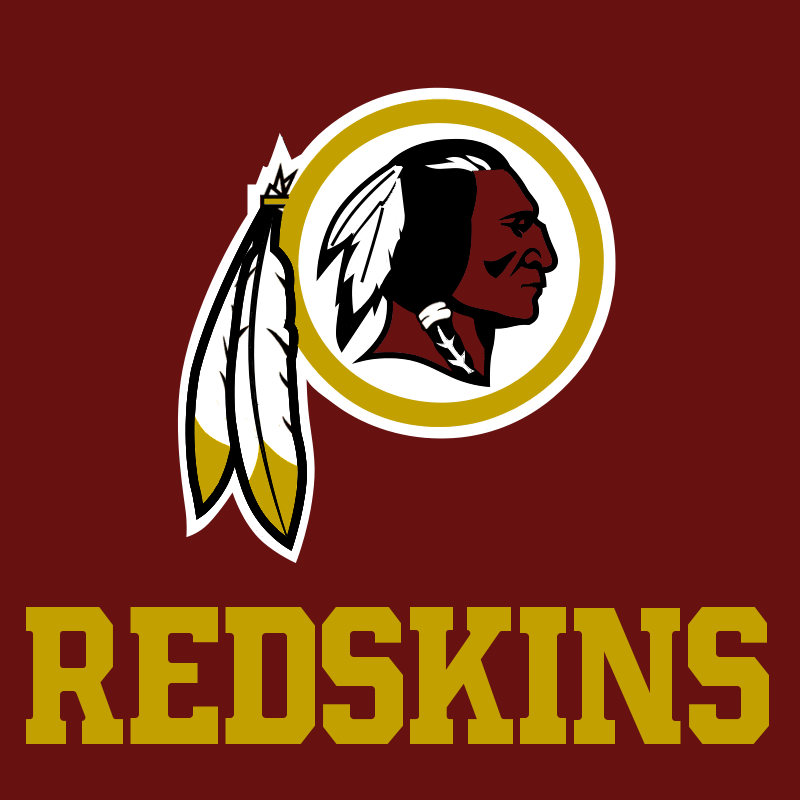 I would tend to agree with you, the name needs to change and I struggle using Redskins as the moniker for concepts more than I used to but I just love the logo so much. I hope it doesn't change if/when they rebrand but I know they will. 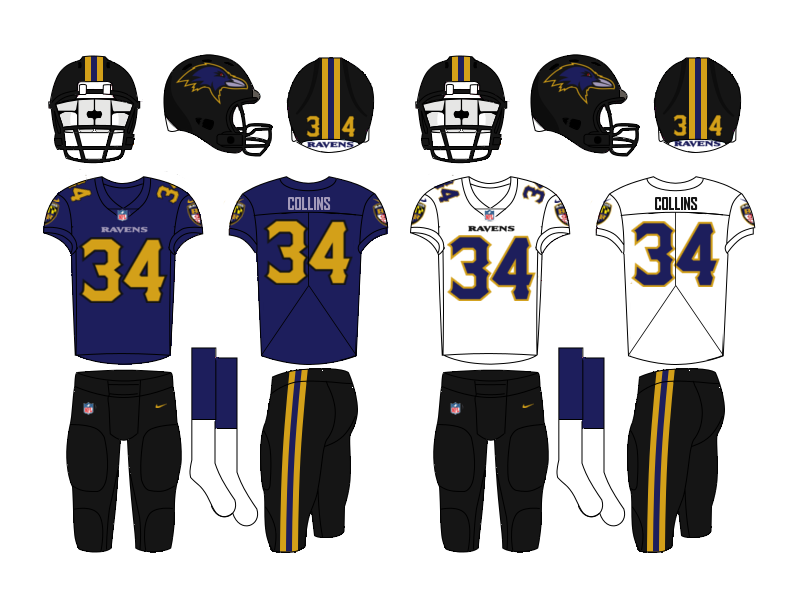 Anyway, I had a gold facemask initially, but it was just so gaudy and I was thinking of the gray facemask serving the same purpose as the Vikings black facemask. Thanks, I'm a sucker for number 1 with the full serif on the top. I actually probably use it way more than I actually should for my concepts. 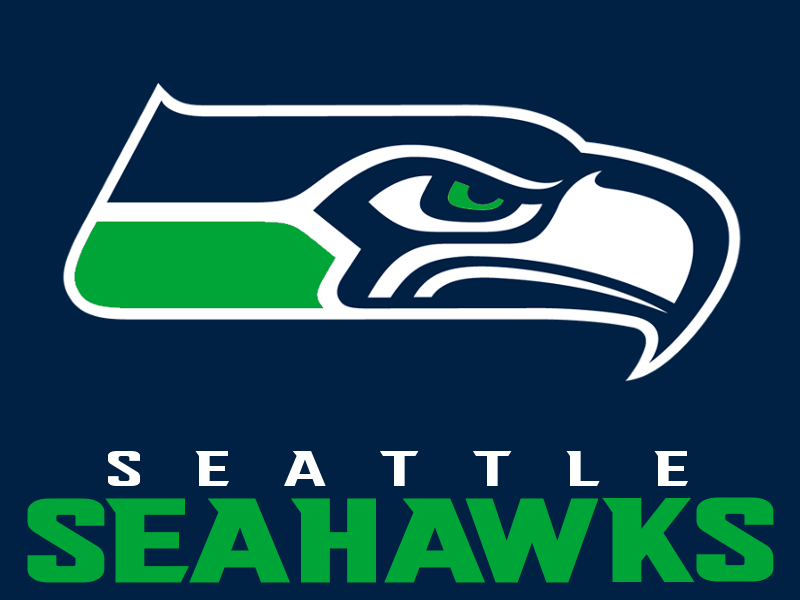 The logo is just a color swap, dropping gray and moving away from the loud "action green" to "Emerald City Green". The new uniforms are simpler. I got rid of the collar and pant stripe pattern, basing the striping on the colors of the logo. 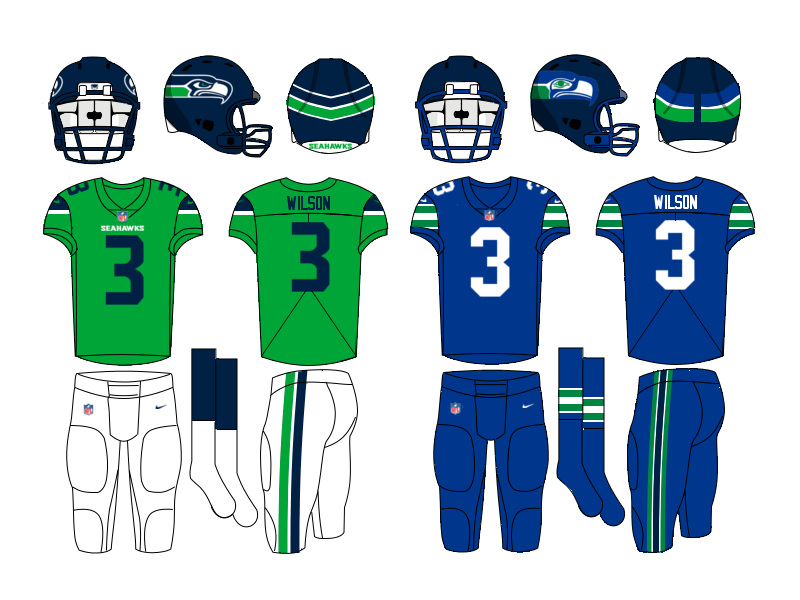 I'm a sucker for single color numbers and I thought the Seahawks were a perfect candidate for single color numbers that give a contemporary uniform a traditional, sturdy feel. I struggled with whether I would keep monochrome as the primary home uniform option, but in the end, I kept it, pairing the look with green socks to avoid the leotard look. 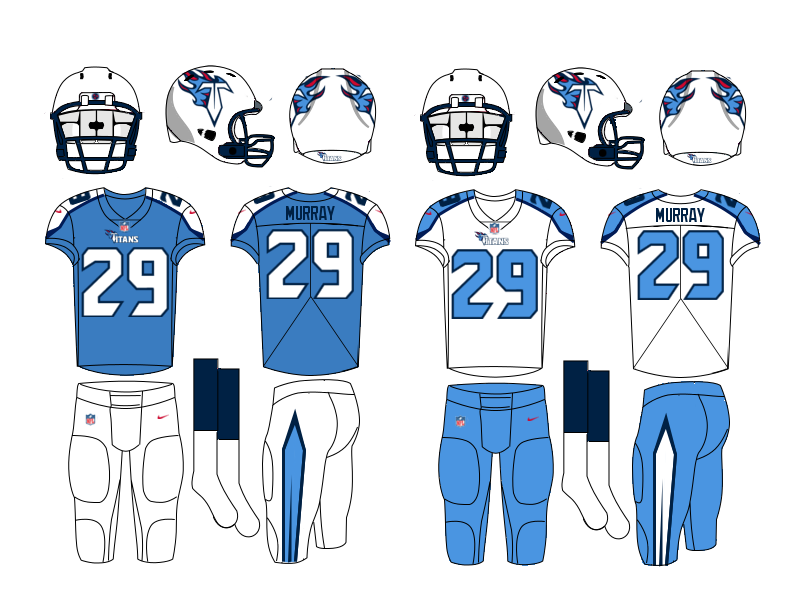 The white jersey is just an inverse of the blue home jersey. 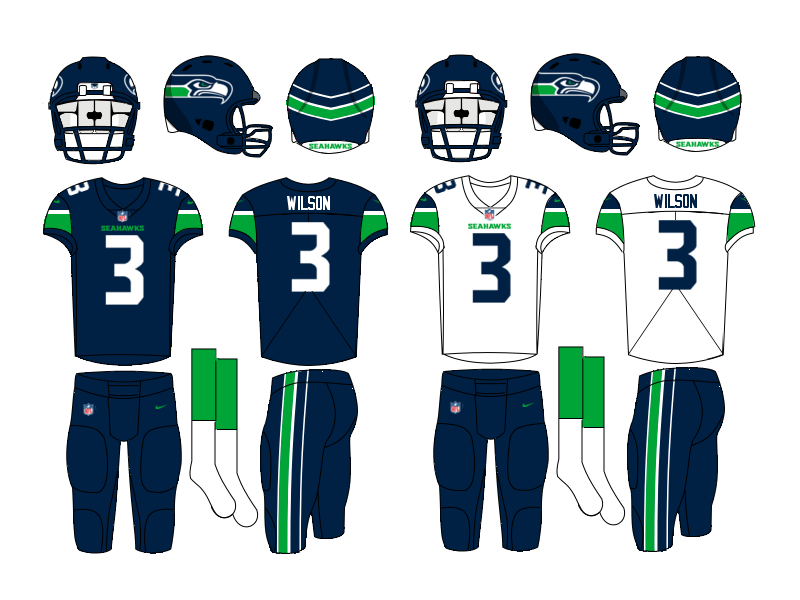 The alternate jersey is emerald green, paired with white pants, which would be an option with both the blue and white jerseys as well. The Color Rush uniform is a little weird. It is a throwback design with the current navy helmet royal blue throwback jersey and fauxback royal blue pants and socks to complete the monochrome Color Rush look. Well, that's the Seahawks. Thanks for having a look.